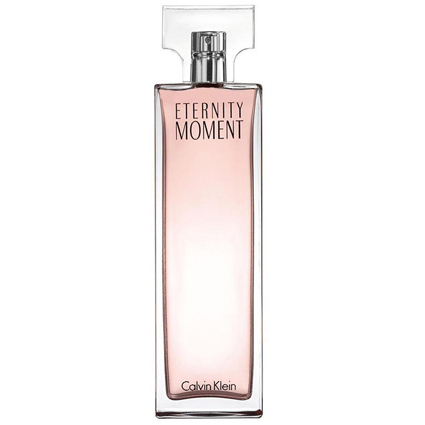 I was super excited to try Calvin Klein’s Eternity Moment since peony is one of my favorite florals and I have never smelled water lily in a fragrance before. That being said, this perfume is a major disappointment; it literally smells like the most generic drug store body spray you can imagine. It’s a brew of synthetic scents that leaves behind a very unpleasant odor of plastic and damp skin. 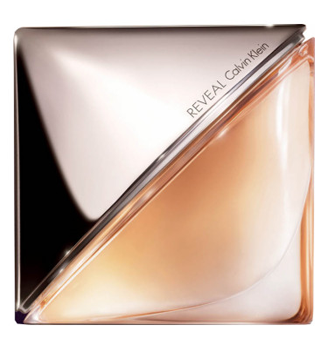 The initial spray smells heavily of alcohol, then immediately simmers down to a peony opening with litchi and a hint of jasmine. The water lily gives this fragrance a fresh and bright floral composition which helps to bury the scent of plastic that eventually overwhelms me anyway. The dry down consists of sandalwood and Guava, which creates a very unusual accord similar to fruit that’s been sitting in a smoky room for way too long. I don’t smell cashmere woods, though the musk is a bit overwhelming and strangely out of place in this composition. Sillage is moderate on me, and longevity is decent (3-4 hours). I feel like Eternity Moment has way too much going on, the notes seem to clash against one another instead of flowing smoothly in unison. It tries to be woody, fruity, floral, and aquatic at the same time…but fails to master at any. I’ve tried to wear this on my skin after a shower, before bed, during the day, at night; and I can’t seem to enjoy it. Overall this is a decent purchase for the price but it certainly is short of quality, you can buy a generic body spritzer for half the cost. It is a generally a rare circumstance when I encounter a fragrance that works so well with my skin chemistry and expresses so clearly all my peculiarities and confidences that when I do accidentally fall in love…I knew it had to be fate. Due to the finicky nature of perfumes (scent association, environmental conditions, the individual’s own physical makeup), I strongly believe that it is the fragrance that picks the wearer not the other way around. How a scent behaves and the exhilarating feeling that follows is completely up to the ingredients and whether or not it will complement your body. Some brands will play on my skin like a perfect orchestra, whereas others just sit there stubborn and unwilling. A perfect example was when I first tried on Dark Obsession by Calvin Klein; this fragrance is just so darn good that I felt I have found the perfect scent for my fall collection. There is just so much going on here: a thick accord of espresso, chocolate, soft leather, and smoke. This is a walk through dark mysterious woods with your jacket collar propped up against your ears, you see a tiny little house and enter it…a whiff of dark coffee, spices and tobacco assaults your senses…suddenly you are at home, safe…warm, comforting. I sense so much of Tom Ford’s Tobacco & Vanille in this blend, the guarana and vanilla are so expertly synchronized that the appearance of suede and balsam firs appeared natural and expected. There is nothing here offensive or uninviting. For the price and quality, I would recommend this one over Tobbaco & Vanille. It would be an adventure in gourmand heaven, and an unforgettable experience. 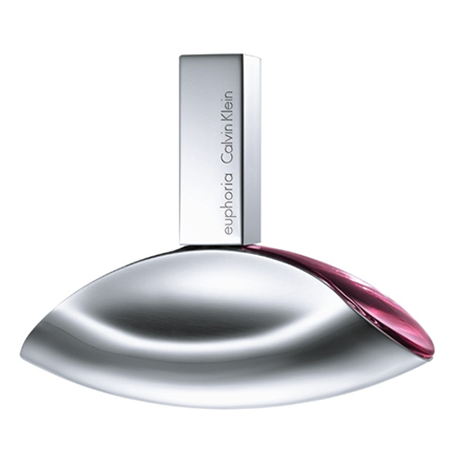 Euphoria is one of Calvin Klein’s bestselling perfumes, and the reasons are in the notes: pomegranate, black orchid, and violet combine to create an intensely confident and beautiful fragrance that is indeed “euphoric”. Euphoria manages to do for me what “La Vie Est Belle” by Lancome could not: give me a sense of happiness and intimacy on days where I may not be feeling quite so wonderful and self-assured. It’s also perfect for a few spritzes before bed, you get a sense of floating into sleep instead of just “falling” into it…I believe this is due to the orchid and woodsy notes…which is very soothing. I agree with others that there is a slight masculine feeling to this perfume (perhaps why I felt so comforted by it? ), but it isn’t obvious in any way. First impressions are of heavy pomegranate, followed by orchids but then it dries down to reveal the mahogany underneath…with more violets and the orchids more apparent. I sort of wished there would be more of the brown scent but that might have pushed it too far into the masculine side, overall I feel this is a much better alternative to La Vie Est Belle (they are indeed similar) if you find that fragrance just doesn’t suit you. Sillage and longevity on me are both moderate.